Get the inside scoop on one doctor’s function focused techniques in a complex full mouth rehab case. There are patients who definitely make a dramatic impact personally in our profession and Teddi was certainly one of those patients for me! 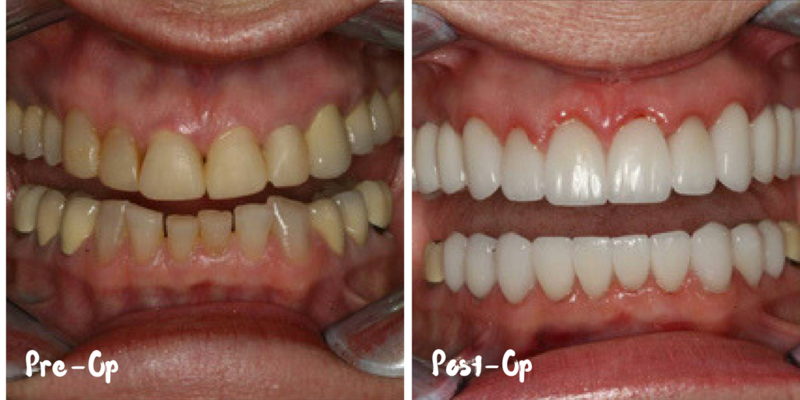 She represented one of the first complex rehabilitation cases I completed with the help of Gold Dust Dental during a full mouth rehabilitation course. Teddi’s complaint was one primarily of aesthetics. 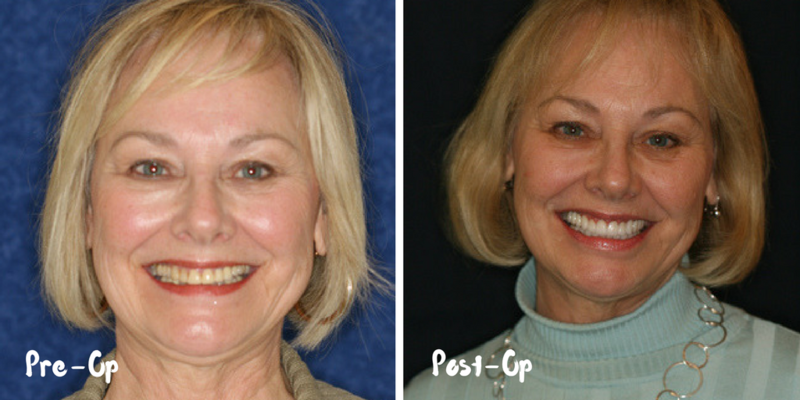 She wanted a smile that better matched her personality, which was vivacious, fun-loving, and youthful! In addition, she had failing bridge work in the posterior and old bonding on the anterior. Initial diagnostics indicated a healthy joint. I determined this through Joint Vibration Analysis. My goal was also to open her slightly and balance her occlusion to a final CEJ to CEJ measurement of 16.5mm. 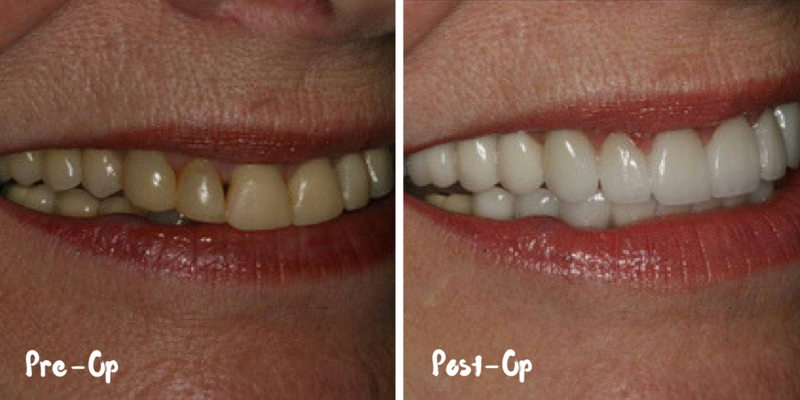 This was combined with my desire to re-establish anterior guidance while creating a gorgeous smile for Teddi. We restored 6-11, 21-28 utilizing I.P.S. Empress™ in an 01 ingot. Bridgework on 3-5 and 12-14, in addition to teeth 20, 29, was fabricated with e.max Zirpress over Lava for additional strength, without any compromise to aesthetics. The results are gorgeous! 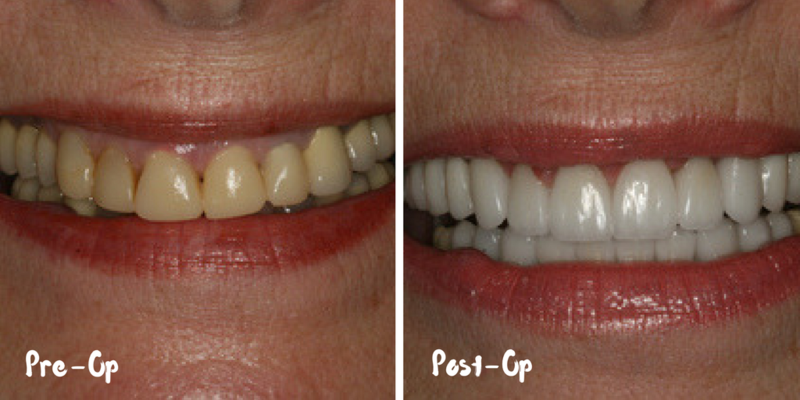 (Please note: All photos are immediate post cementation). Teddi is now a “raving fan” and advocate for the practice. She’s a patient who re-invigorated my passion for dentistry. This is a perfect example of the outstanding results achieved working with a partner laboratory that specializes in function and beauty. What cases have stuck with you longer than others and why? We’d love to hear from you in the comments!